The virulently anti-LGBT pastor of Tempe, Arizona-based Faithful Word Baptist Church, along with members of his church and “associates,” have been banned from entering South Africa. 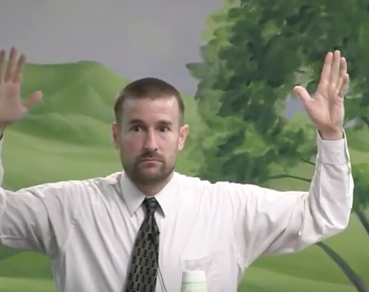 Steven Anderson, who has called for the deaths of LGBT people, and who celebrated “50 less pedophiles in the world” after the massacre of forty-nine people at a predominantly LGBT club in Orlando in June, was planning to go to South Africa on a “soul-winning” trip. When news of Anderson’s visit circulated, a campaign was launched by LGBT organization All Out, in partnership with Gay SA Radio, to prevent his entry. Part of the campaign included a petition drive that garnered over 60,000 signatures. The Southern Poverty Law Center provided information to South African activists about Anderson and his church. South African Home Affairs Minister Malusi Gigaba met with representatives of LGBTI organizations September 5. He announced his decision during a media briefing at the South African parliament Tuesday morning. South Africa’s Immigration Act states that the country may deny entry to any foreigner who is a “member of or adherent to an association or organization advocating the practice of racial hatred or social violence.” Americans do not require visas to travel to South Africa, but Gigaba also revoked Anderson’s visa exemption status. Anderson stated on Facebook that he was also not allowed to have a connecting flight to South Africa from London. He then quoted Acts 18:6 from the Bible, which states, in part, “Your blood be upon your own heads; I am clean.” In the same post, Anderson hinted that he would be going to Botswana, and exhorted people to “stand by for MULTITUDES saved” there.